Quantitative analysts are in high demand on Wall Street as electronic trading and the use of complex algorithms to access liquidity continue to proliferate. While in the past quants often have been Ph.D.s in the academic world before crossing over to the Street, today there are more and more programs geared specifically toward preparing quants for financial services jobs. These programs typically offer a Master in Financial Engineering (M.F.E.) degree, but many offer similar degrees, including a Master of Science in Financial Engineering (M.S.F.E. 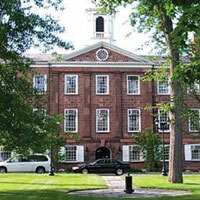 ), a Master of Science in Financial Math (M.S.F.M. ), a Master of Science of Mathematics in Finance (M.S.M.F.) and a Master in Mathematical Finance (M.M.F.). 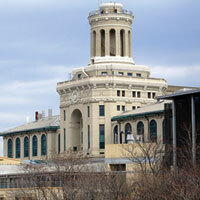 One of the first quantitative finance programs, Carnegie Mellon’s M.S.C.F. program is steeped in quantitative analysis and information technology. The program involves collaboration among the Heinz School of Public Policy and Management, the Department of Mathematical Sciences, the Tepper School of Business, and the Department of Statistics. The M.S.C.F. program includes 35 full-time students at Carnegie Mellon’s Pittsburgh campus, and 25 full-time and 30 to 40 part-time students at the New York campus. For the December 2006 graduates average starting salary was $96,000. About 86 percent of the December 2007 graduating class was employed by companies including Merrill Lynch, JPMorgan, UBS and Credit Suisse; twothirds found jobs in New York City. The M.S.F.E. degree falls under the School of Industrial Engineering and Operations Research. The curriculum is heavy in math and programming. On Monday nights, the program hosts Financial Engineering Practitioners Seminars, at which Wall Street and industry practitioners present seminars on their recent research or particular specialty, and where students can hear firsthand about life in the financial services world. The program leads to positions in securities, banking, and financial management and consulting industries, or as quantitative analysts in corporate treasury and finance departments of general manufacturing and service firms. The M.F.E. degree falls under the School of Operations Research and Information Engineering (ORIE). The program is based on Broad Street in lower Manhattan. Each January the Master of Engineering program presents a Meet and Greet the Street event. The event features an industry speaker and networking opportunities, and is attended by alumni, potential hiring firms and participating financial engineering students. The Master of Engineering Internship Program for Registered Financial Engineering Students offers the opportunity to apply for summer internships with financial services firms in New York City and elsewhere. The goal is to provide graduate students with real Wall Street experience in the middle of their studies, and to enable them to obtain summer internships that often lead to full-time job opportunities. The program has a strong pragmatic component, including practically oriented courses and student mentoring by finance professionals. The faculty includes members of the National Academy of Science and the National Academy of Engineering; and winners of the National Medal of Science, the Kyoto Prize and recognition from the National Science Foundation. About 10 percent of program applicants are accepted. Nearly 100 percent job placement over the past two years. Students typically place in research, trading, asset management or risk management groups at firms such as Goldman Sachs, JPMorgan Chase, Merrill Lynch, BlackRock and BNP Paribas. 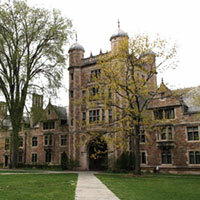 The University of Michigan program integrates finance, applied math and engineering. The degree falls under the school of engineering. A balance of math, engineering, physics and finance classes comprise the curriculum. Prerequisites for the program cover accounting, economics, electrical engineering, math and statistics. Average starting salary for graduates is $79,000. 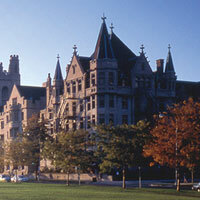 The University of Chicago’s M.S.F.M. program offers an integrated program of theoretical and applied mathematics and practical applications to derivatives pricing and the management of financial assets. Graduates are hired by hedge funds, exchanges, banks, insurance companies, etc. The Berkeley program offers a balance between business and math. The school is active in the business community in both research/consulting and placing graduates. The curriculum is very practitioneroriented. The average undergraduate GPA for incoming freshmen was 3.49. Ninety-seven percent of students placed with an average first year salary of $153,073. 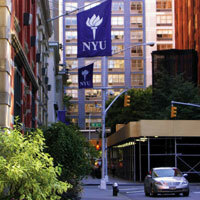 Graduates typically place in New York jobs at firms such as Merrill, Lehman, Barclays and JPMorgan. The curriculum is a mix of math and business courses. The M.S.F.M. program falls under the math department, and graduates are focused toward jobs in the finance industry. Alumni are employed by companies such as Morgan Stanley, Goldman Sachs, Lehman Brothers, Deutsche Bank, Merrill Lynch, Credit Suisse, Barclays, JPMorgan, Citi and UBS, as well as hedge funds and banks. Roughly 15 percent of applicants are admitted to the program. Of program graduates, 15 to 20 percent continue on to higher education (Ph.D. or faculty positions), while 80 percent to 85 percent assume positions in the financial industry, typically as quantitative modelers or traders. M.S.M.F. - The Master of Science in Mathematics with Option in Mathematical Finance (M.S.M.F. ), integrates theoretical foundations with practical applications to quantitative finance. The program prepares graduates for careers in financial modeling and software development, risk management, trading desk support, and portfolio management at investment banks, hedge funds, and asset management firms. 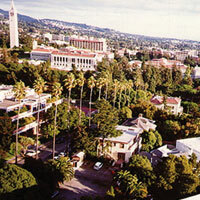 The program is led by the Department of Mathematics, with core courses in Mathematics, Statistics, and Computer engineering; electives are offered by the Business School, the Departments of Computer Science, Economics, and Operations Research. M.Q.F. - This program provides a balance between quantitative skills and financial knowledge. Firms including ABN, Barclays, Citi and JPMorgan have hired graduates for positions as analysts, risk managers and modelers. 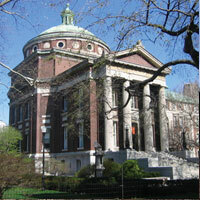 The program's executive board includes top Wall Street executives. M.S.M.F. - 100% M.Q.F. -Program graduates are placed in Wall Street firms such as banks, hedge funds, mutual funds, pension funds, insurance companies, consulting companies and even financial software firms. Princeton’s M.F. 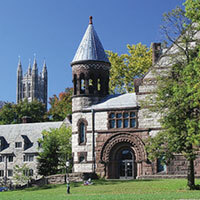 program emphasizes financial economics in addition to financial engineering and computational methods. Graduates focus on fundamental quantitative tools from economic theory, probability, statistics, optimization and computer science. 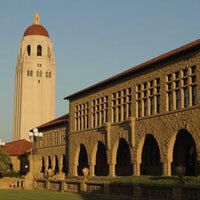 The program combines courses from the department of economics, the department of operations research and financial engineering, the department of computer science, and others. 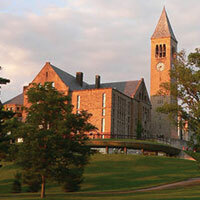 More than 90 percent of the 2008 graduating students received offers of full-time employment as of April 2008. Firms hiring from the program include JPMorgan, Lehman Brothers, Goldman Sachs, Credit Suisse, Citadel Investments, Citigroup, Merrill Lynch and Morgan Stanley.